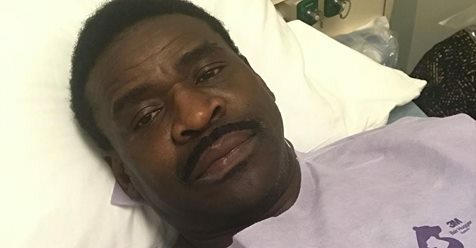 Former Dallas Cowboys wide receiver Michael Irvin announced on Instagram Tuesday that he spent the previous two days at a UCLA hospital undergoing testing for throat cancer. Results of Irvin’s biopsy appear to still be pending. Irvin wrote that he noticed a problem when he lost his voice during the Cowboys’ win over the New Orleans Saints last season and the problem persisted for almost two months. He saw doctors who advised the round of testing performed at UCLA. Irvin also wrote that his father had throat cancer and died at 51. His brother Vaughn died of stomach cancer in 2006 at age 49. A member of the Pro Football Hall of Fame, Irvin made five Pro Bowls and won three Super Bowls over a 12-year career with the Cowboys. We can only hope for the best at this time and hopefully the tests will come back negative.